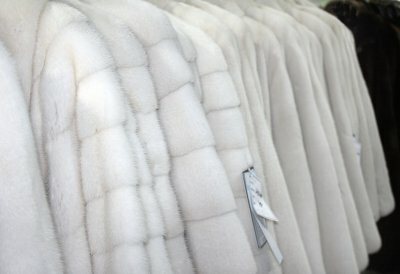 With the holidays just around the corner, you may be considering buying a fur coat to treat yourself or someone special. Purchasing fur does require a little bit of special knowledge to ensure that you have a stylish, comfortable, and long-lasting cape or coat that will be fashionable season after season. Whether you have your eye on mink, fox, chinchilla, or another popular variety of fur, here are the characteristics you should seek out when you are shopping for fur. The luxurious feel of fur is one of the most iconic qualities of fur pieces, so you will want to feel the fur for a dense and soft underfur beneath the glossy and smooth outer coat. The leather shell of the coat is another important consideration, as it should be soft and comfortable as it glides against your skin. 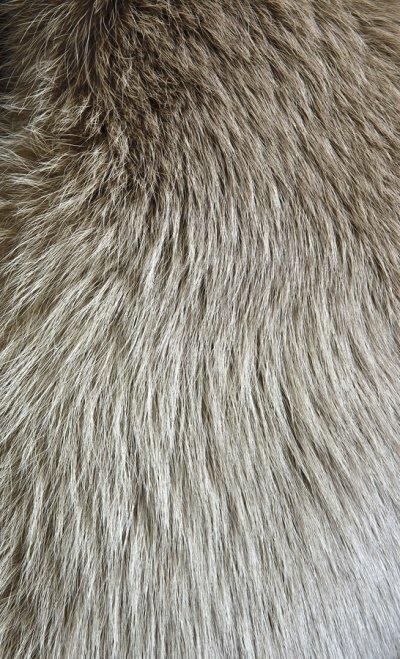 As you assess the texture of any fur, you will use both sight and feel to determine the quality of the garment. You will also want to look for even coloring and an overall lustrous pelt. When you are giving fur as a gift, you may compromise the element of surprise, because furs should always be tried on before purchasing. Many people are surprised at how light fur coats can be, and different styles of fur coats can hang differently on various body shapes. A well-made and well-fitted fur should fall evenly from the shoulders and drape over the body. There are many different styles of fur coats to consider—including full-length coats and shorter coats that may be more practical. In both classic fur styles and modern fur pieces that make a statement, you should check that seams are tightly sewn and fall straight. Shopping for fur begins at the right store, so you should always choose a specialized retailer for your furs. After you find just the right coat, you can make it last a lifetime with the proper storage and repairs. For centuries, fur has been an iconic symbol of luxury and high-society, but there are also many myths and misconceptions that persist when it comes to the fur industry. The international and domestic fur trade are both strictly regulated in order to ensure the highest quality products from animals raised in cruelty-free conditions. Read on to discover more of the facts behind the myths of the fur trade. There are laws on the state, national, and international level to regulate the fur trade and industry practices. These laws help to create a cruelty-free industry, because the best looking fur comes from animals that have been raised in optimum conditions. Fake furs are often presented as an eco-friendly alternative to fur farming, but fake furs are made from petroleum-based products that are not derived from renewable resources and have a heavy impact on the environment. Plus, many fur farms actually benefit the environment by recycling waste products that might otherwise end up in landfills. Many furs are farmed and made from animals specifically raised for their pelts. In areas where fur trapping is used, species are abundant, and trapping is actually a part of wildlife management programs. Animals like mink and foxes can overpopulate areas and become a threat to other species native to the region. One of the most prominent fur myths is that you may not know where your fur actually comes from, but the strict regulations of the trade ensure that pelts of animals like domestic cats and dogs are not falsely marketed as other furs. Furthermore, dog and cat furs are not suitable for use in coats due to their texture and aesthetic qualities. Now that you know the truth about fur, you might be inspired to begin shopping for furs to keep you warm in the cold Chicago winter. Fashion has taken a shift toward more casual and comfortable styles over the years, but there is still a place for the luxury of fur in everyday looks and, of course, more formal winter attire. When it comes to fur, mink has been a long-lasting staple that is fashionable year after year in long coats and more versatile short coats. However, those seeking a bolder look might explore vests and fur collars that can fit into any fashion sense. Vests are making a statement this year in both long and short styles. The comfort and softness of cashmere is another timeless look that has become paired with fur trimming to create garments that you will want to wear every day of the winter season. A new fur piece can add life to your winter wardrobe, but you can also restyle older pieces to create a more modern look with the luxury you have appreciated for many seasons already. No matter how you choose to make a statement in fur, remember to care for your furs with professional controlled storage and repairs.